The early-morning CONC group enjoyed a pleasant autumn day hiking the McKenzie River old growth and waterfall loop on Sunday, Sept. 30. The 12-mile loop began on the Old Wagon Road, and the hikers wandered through “old-growth giants,” reports group leader Hilloah Rohr. 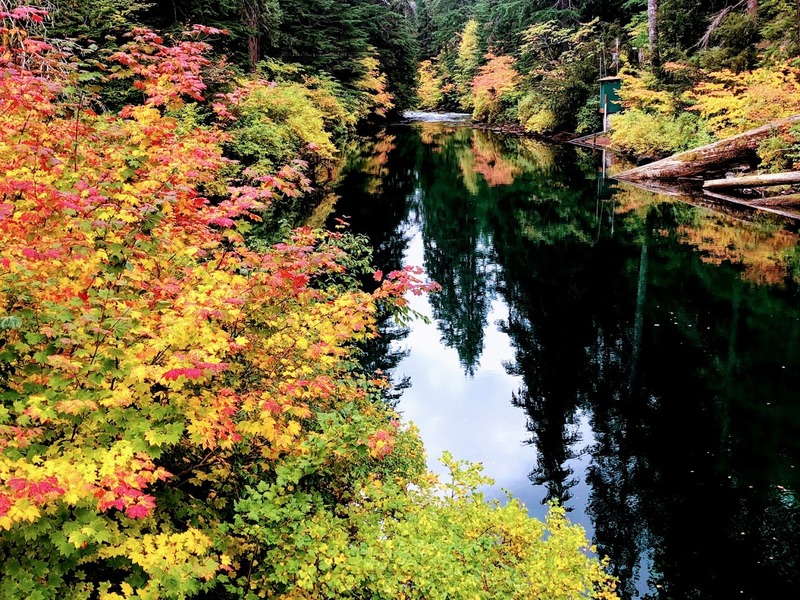 “Clear Lake was azure blue, rimmed with contrasting bright red, orange and yellow vine maple,” she continues. 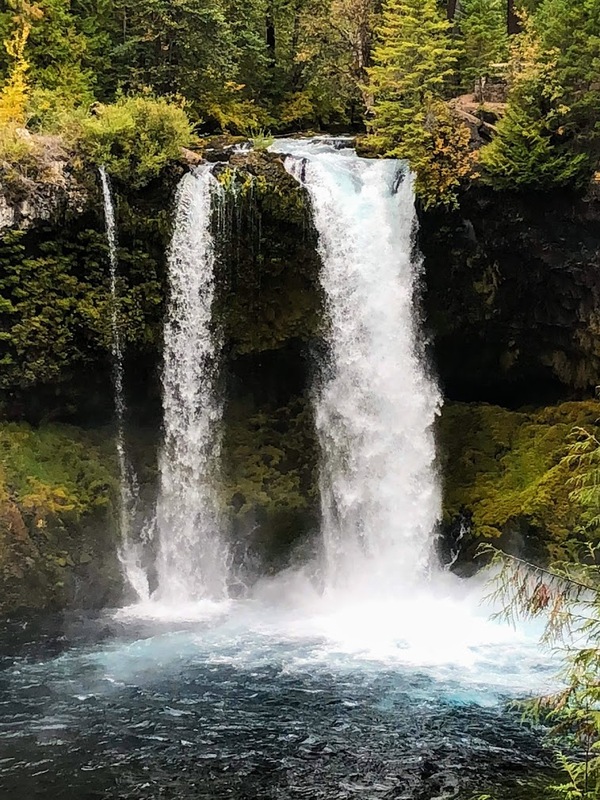 “Sahalie and Koosah Falls were both rushing and full.